Sierra Nevada World Music Festival 2017 was well hot…between the temperature and the megawatt talent assembled, the 24th staging represented reggae from throughout the world. Artists seemed humbled by reggae’s changes as an industry, finding their way along the new frontier. Many thanked the Sierra Nevada audience for supporting reggae music in general and reminded the crowd often that this was why were all here, was reggae music. Another theme of the weekend was Father’s Day celebrated in the US on Sunday June 18th, many thanked their fathers and some thanked their mothers for being fathers to them too. 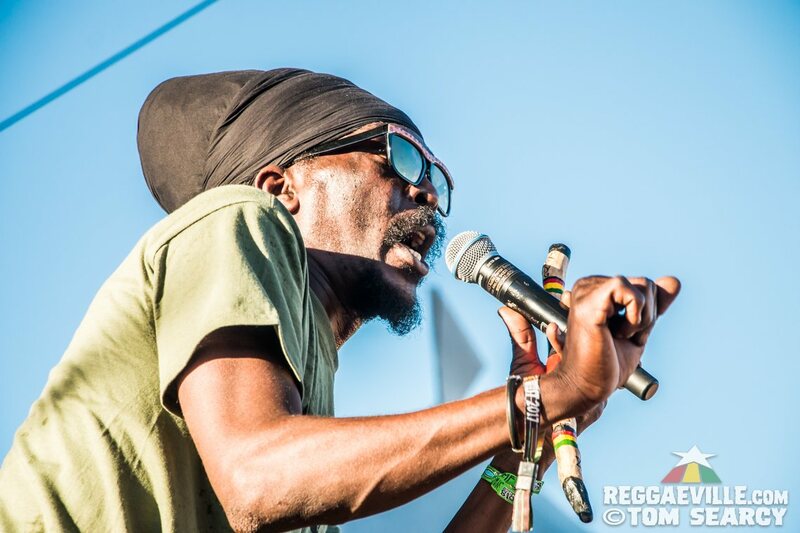 Appearing for the first time at SNWMF, Chronixx and Zinc Fence Redemption were in razor sharp shape after touring together for the past several weeks. 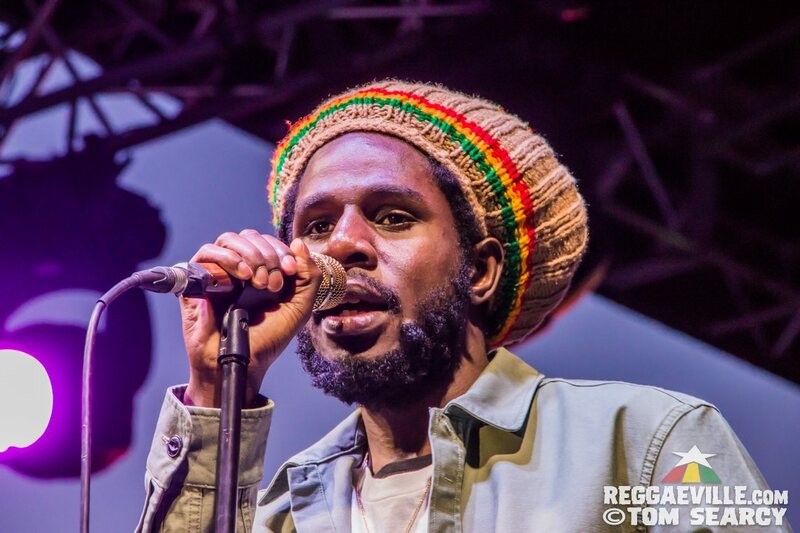 The takeaway from this set was how comfortable Chronixx seemed on stage and his vocals were improvisational with the artist transposing and altering standard lines and feeling the vibes of the festival crowd. Songs like Majesty had him showcasing his freestyle abilities, from there he flowed into the crucial new song Skankin Sweet which had the artist removing his tam and letting down his dreads to deliver the goods. Gentleman gave such a thrilling performance to headline the Friday night Valley stage, he took down the volume often to speak to the audience often, touching on fatherhood, and the experience for him, and the responsibilities that it has brought him and the subsequent shift in consciousness he’s had. He hailed up Tamika his backup singer and partner in life. He actually went into the audience as he often does to host people on the mic to sing lines from Superior even commenting that one singer was pretty good! Marla Brown made her US debut at SNWMF 2017, the daughter of Dennis Brown who got her start in entertainment becoming an accomplished professional dancer, her genetic makeup combined with thoughtful, theatrical presentation make her an artist to watch. Marla gave a dazzling press conference where she outlined the entire set song by song to illustrate the storytelling, a necessary part of all art forms. She tied together the meaning behind the song sequence and messaging and announced her new EP Survivor coming out this month. This writer declared that I had officially “seen it all” when on Saturday afternoon I witnessed the NST & The Soul Sauce performance. Deep dub music at time sped up to be sort of a “rocksteady dub” tempo backed female vocals that soared in an operatic tone. The band is from Korea and the singer wore a traditional costume while playing a metal percussion instrument. All of it worked together to deliver two of the most intriguing sets of the weekend from all accounts as the band played on Sunday too. Saturday was jammed literally with some of reggae’s best artists. The Jamaicans in my delegation of reggae festival goers felt that the day was ruled by Anthony B whose engaging set, the first at SNWMF since 2011 had their discerning ears and hearts. His band, made up of both East coast and West coast musicians and wonderful harmony singers was a great example of collaboration amongst the musicians. Perhaps it is the diversity of his set, or the theatrical quality but those of us with the energy in the 90+ degree heat were jamming to the pace, rooted in dancehall yet seasoned with ska, pop, and original roots reggae. By the time Waan Back was performed late in the set, fans were bobbing up and down learning the dances from Anthony B whose stage show also includes expressive dance moves to break up the songs. 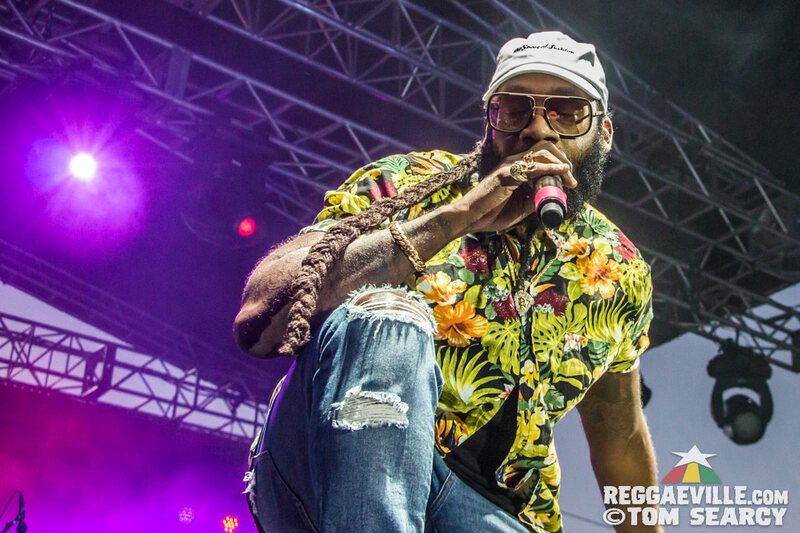 His set was jam packed and required some editing which he noted publicly with a veiled reference to the feud carried over from Rebel Salute with the artist that followed him on the SNWMF, Tarrus Riley as Anthony B noted “I don’t want to run into the next artist’s time”. Capleton closed the Valley stage Saturday night and showed us why he has the capability to do this at this point in time. He rolled through his catalog of extensive hits, and we remembered when he would perform some of them with a fade in his hair and gold chains around his neck. He had to edit some of the songs to fit them into his time but he did so without feeling like it was a medley or rushed, allowing the band to play bars that would elegantly intertwine the themes and vibes for fragments of songs. Capleton has a commanding stage presence, that doesn’t mean he stays still, rather he moves like a lion on the savannah gazing out onto the crowd, lazer focused and strong. Lee “Scratch” Perry returned to SNWMF 2017 to make up his rained out appearance on the Valley stage from last year. 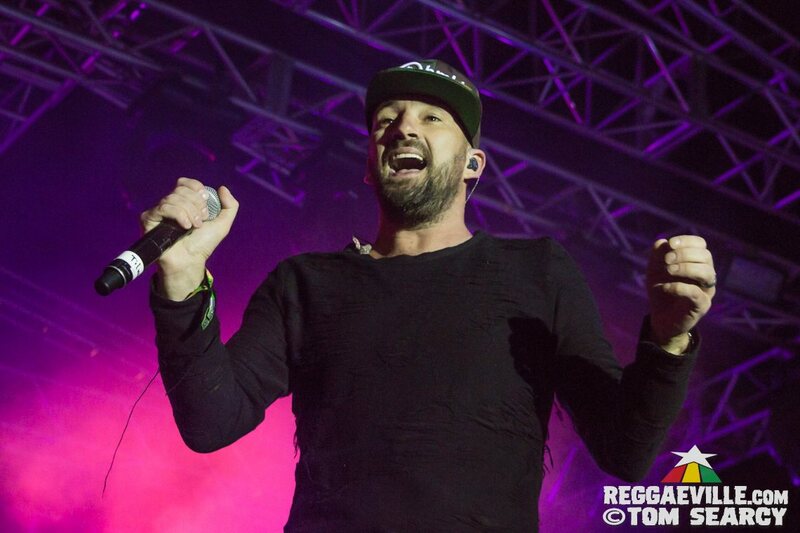 His set with the Subatomic sound system was an ideal match for the Saturday late night dancehall housed inside a festival fairgrounds building. Songs like Iron Shirt that Scratch recorded with Max Romeo and his group the Upsetters morphed into a version 2.0 as the Black Ark and Subatomic Sound revisited several of these tunes. Lee Perry held court in his typical glittery regalia using words as percussion and punctuation, delivered in a code that could only be interpreted by moving to the rhythm. Third World brought the Caribbean tradition of “rating” people to their Sunday evening performance stating, “We appreciate all of you who have come to hear reggae music. What a hot day, we rate you for being out here” as they transitioned into Roots With Quality the band’s slogan tune. By the time 96 Degrees In The Shade was performed in the set it was after 7pm in the Anderson Valley and was actually 98 degrees in the shade. 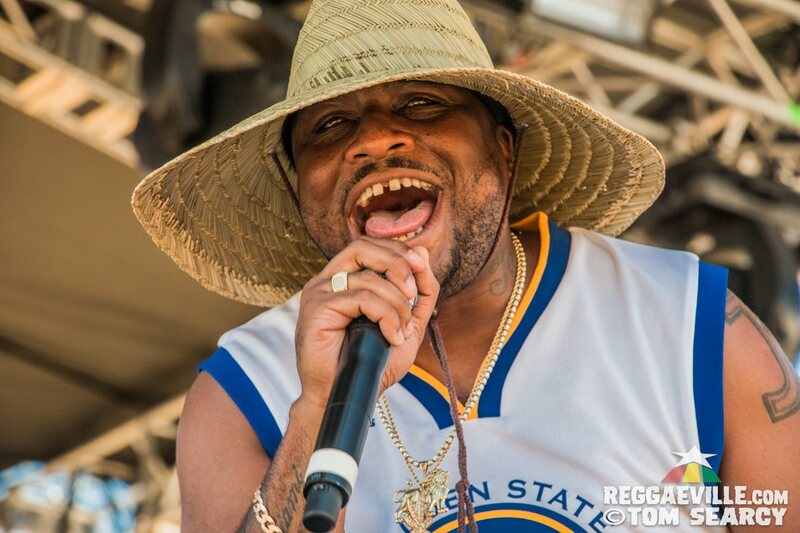 Gappy Ranks made this statement when asked in the press tent, how he deals with all of the ups and downs of the reggae industry, “For me, I kind of enjoy the struggle that reggae has to go through and put up with. You know what I mean? Because without it I couldn’t have that edge and I don’t feel the message will touch you. You want to see all the reggae artists them pretty and see them walking down Hollywood boulevard.” Then he asked more fervently, “Do you want to see reggae artists walk down Hollywood boulevard and on TMZ and all this stupidness? This is how you keep the industry going on, support the industry, keep on going to concerts, buying music in any format, you understand? Keep on supporting new talent into the industry, the more people in the industry is the bigger the industry get. Keep supporting new talent and allow them to become themselves, give them that space.Then with reggae I was able to see the world. Cause when I started it was bare badness and gun and slackness and all them ting deh because I was speaking what I saw in my community, but there was a bigger picture to it. Reggae music teach me dat bigger picture and teach me dat its not all about busting your gun and the money that is glamorized now on every other platform”. Horace Andy was a no-show at this year’s festival, his visa/waiver situation still unresolved. This would be the third time at SNWMF that he would miss his chance to perform due to visa issues, and the second time that Prezident Brown performed a seamless set in his place on Sunday. Lakou Mizik from Haiti gave one of of the best ensemble performances of the weekend, with band members taking turns on vocals, choreography that looked effortless and natural, intense musicianship, accordion, percussion, horns, a carnival vibe, at the end of the set the band left the stage playing their instruments and came out into the village stage bowl to complete their mission, playing their way out of SNWMF 2017 to close out the Village stage. Up to this point the festival transitions from band changes to DJ’s were rather tight with just a few delays throughout the weekend, but Barrington Levy slowed down the pace with his shenanigans that resulted in an abbreviated set due to the artist’s late arrival. The Detour Posse backing band however were in top form despite the circumstances and helped the crowd enjoy the final minutes of SNWMF 2017.